Combining stylistic influences from Minimal Techno, Glitch, Ambient, Breakbeat and Dubstep, as well as contemporary music and musique concrete, Monolake is exploring the fringes of club culture. Monolake started in 1995 as a collaborative project between Gerhard Behles and Robert Henke, with the release of the 12" vinyl single 'Cyan' on the Berlin based label Chain Reaction. Chain Reaction had just been established as a new platform by Mark Ernestus and Moritz von Oswald, famous for their works as Basic Channel, Maurizio and Rhythm and Sound, and became a highly influential force in what later has been defined as Berlin Techno. 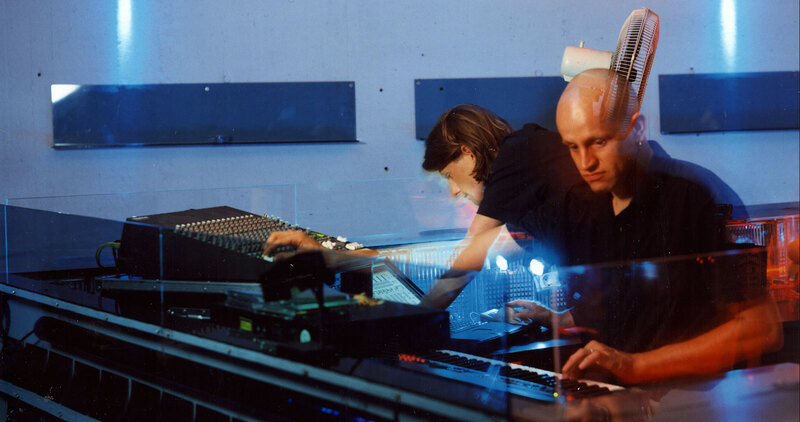 Henke and Behles shared a background in programming, an interest in academic computer music and a fascination for the raw forces of electronic club culture. Combining elements of both worlds, Monolake's releases had a distinct and different sound around whilst still being related to the cultural and stylistic background of their peers. 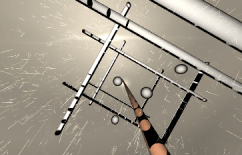 With the help of self-written software, they developed their signature style based on variations of repetitive structures, embedded in complex sound design and with formal structures closer to sculpture than to classic song writing. Gerhard Behles left the project in 1999 to found the software company Ableton, which Robert Henke joined briefly after, to develop a software - Live - which radically changed the way music is performed and produced, and which became one of the most successful and significant technical contributions to current music instrument technology. Monolake became a Robert Henke solo project with occasional guests, most notable Torsten "T++" Proefrock, who contributed to the albums Cinemascoope (2002) and Polygon Cities (2005) and to performances in 2008 and 2009. 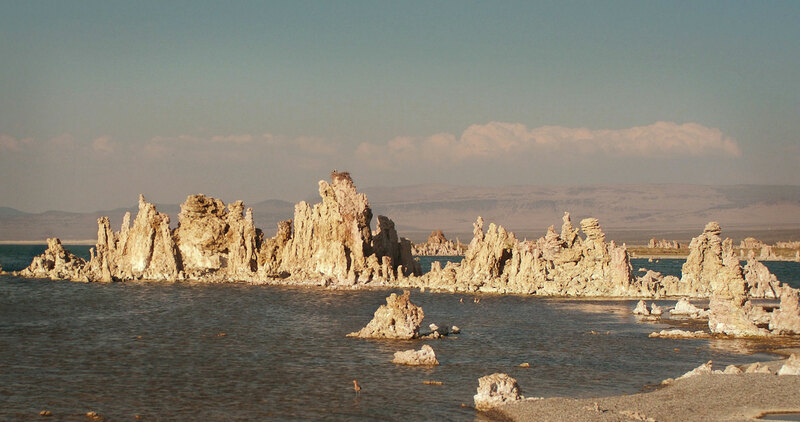 The name Monolake has been chosen after a missed attempt of Behles and Henke to visit the Mono Lake whilst travelling the United States in summer 1994. Textural and rhythmical music for a standing and potentially dancing audience in a dark space, surrounded by loudspeakers. No visual component, just massive moving wall of structured sound. Currently Monolake Live is a mix of re-interpretations of existing works from the last albums, and additional elements. The formal structure is not pre-defined, but develops as a result of improvising with the material. 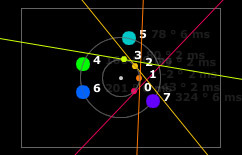 Monolake Live is a multiple channel surround sound experience, which Monolake is exploring since its beginnings, presented also in versions for wave field synthesis, ambisonics and other state of the art multichannel audio environments. The current Monolake Live show is a deliberately non-visual performance. It is not about watching something, it is also not about observing a performer on a stage, it is about getting lost and carried away by sound. The photo above has been taken during a Monolake performance in 1999 at legendary Ego Club Düsseldorf, Germany. 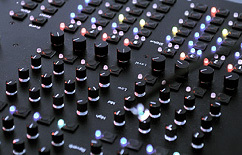 The Monodeck II, built by the artist in 2005, is a advanced control interface for Monolake performances, and has been in use till 2011. It makes it possible to interact with Ableton Live without the need to look at a computer screen. From 2009 till 2014 Monolake Live was performed as a immersive audiovisual surround sound experience, as a collaboration with Dutch visual artist Tarik Barri. For a special event at Berlin's legendary club Tresor, a Monolake Live show has been created in 2009, making it possible to perform with a large WFS array of hundreds of loudspeakers temporarly installed at that venue.